As high energy efficiency demand gradually swifts conventional lighting off global market with energy-saving lamps program, JMLED has successfully break into the international trend with the reputation of "High Powered COB LED" lighting technology and lighting engineering experience made production of high-power energy-saving products of street lights, high-bay lights, spot lights, etc. It is our honor to share our outstanding 100% recyclable lighting series in the international market, all made of aluminum and eco-friendly materials, JMLED lighting products not only provides power efficient plan, also the entire device can be 100% recycled. 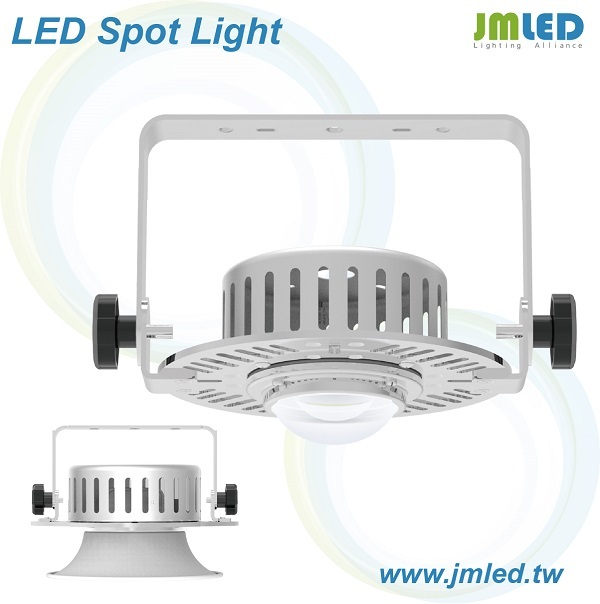 Endurance manifests the core strategy of JMLED lighting products and the motivation of product development, JMLED provides professional design with waterproof, dustproof, superior light source and many other features, with anti-glare design. With the practical feature, JMLED products apply for harsh conditions under year-round, high-temperature, high humidity, and dusty environment. Conventional lightings can be replaced by JMLED products, customers do not have to invest in new equipment or retrofit old equipment. JMLED technology allows for innovative, ground-breaking designs of inspiring purity and benefits, not only environmentally friendly, but also to provide customers with brighter lighting.